It's been raining for 24 hours in Sweden- bah! I'm going in search of some sunshine - fancy coming along for the ride?! 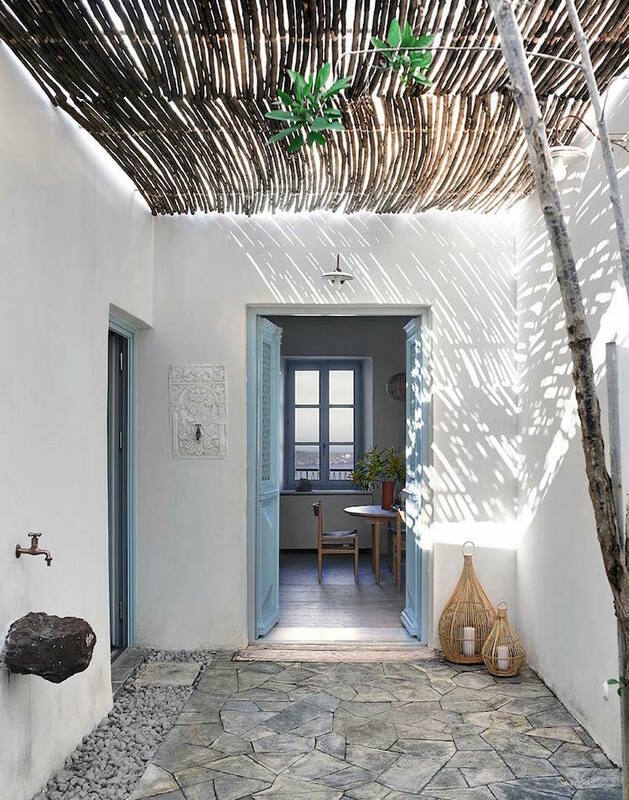 It seems there's plenty to be found in this house perched on a cliff edge on the Greek island of Milos. 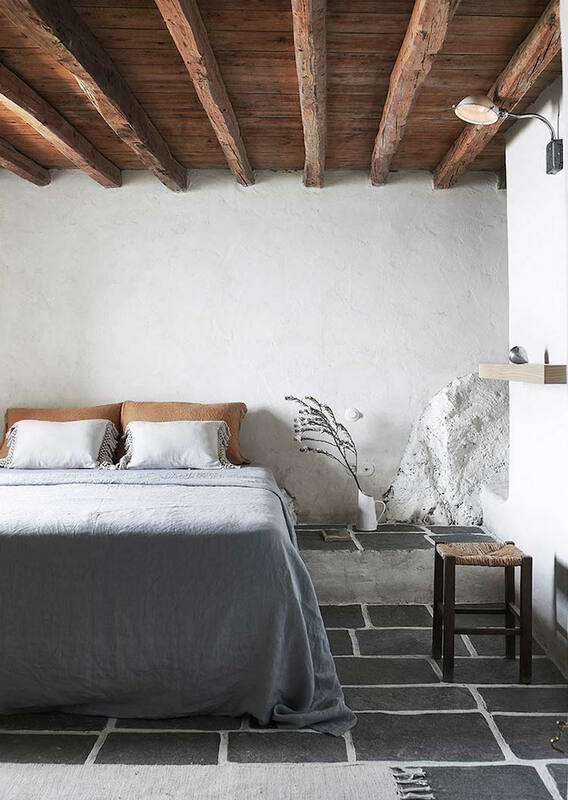 The 19th century stone house has been carefully restored by K-STUDIO to provide a London-based family an authentically traditional, yet practical summer retreat. Due to the narrow streets, locally sourced building materials had to be carried up through the village by hand. 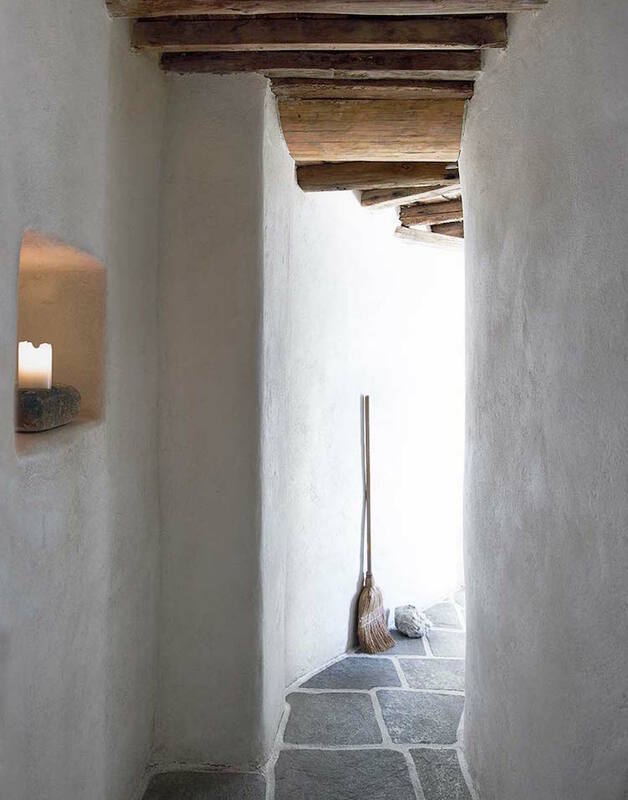 Today the simple, raw finishes offer a cool respite from the midday sun while slate and timber flooring and unpainted walls allow the house to breathe. Bespoke crafted furniture and fittings were chosen to respect the local style and give the house a lovely, warm, welcoming feel. Enjoy the tour! 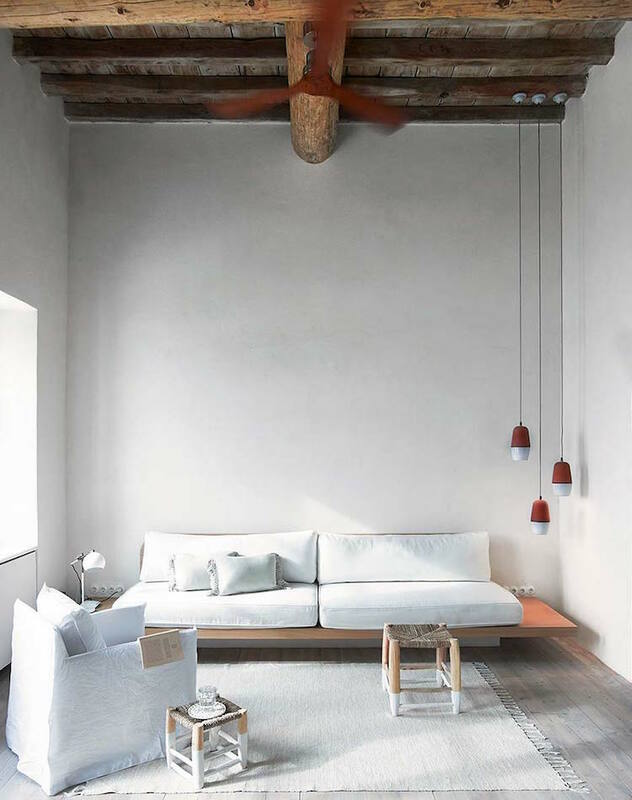 I love the matching stools in different sizes - and of course the beautiful Gervasoni Ghost 05 armchair! The sofa is also interesting - I wonder if it's bespoke? If you have any info please give me a shout in the comment section and put me out of our misery! 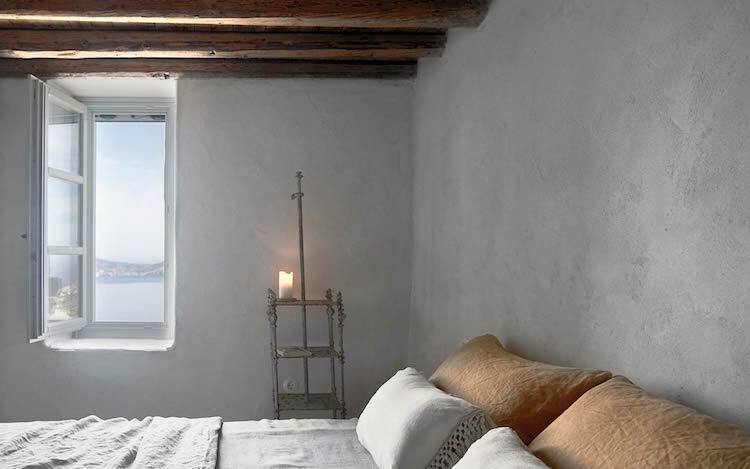 The original wood ceiling and linen bedding adds warmth and texture to the otherwise pared-back bedroom. Not a bad place to retreat to in the summer / at weekends - not bad at all! Could you imagine?! 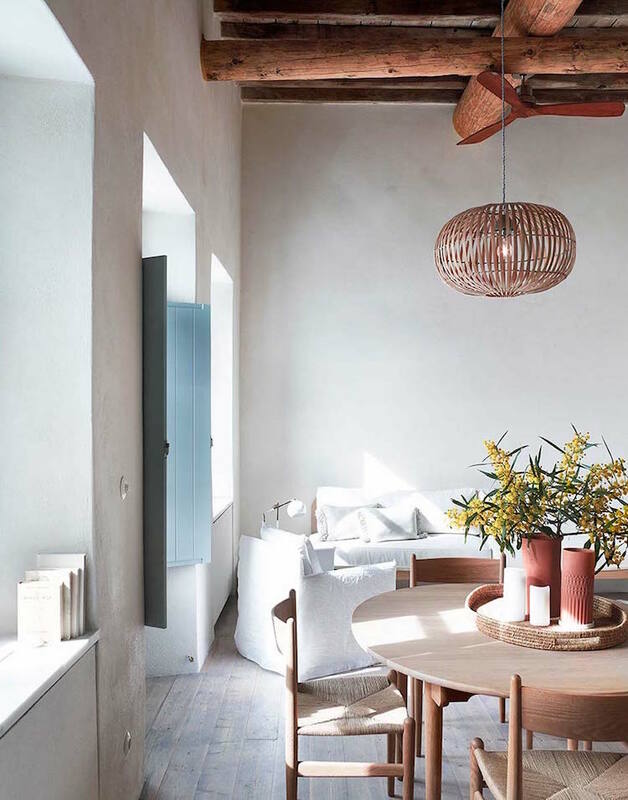 It came as no surprise to find that the space has been nominated for "Best Residential Property" in the Big See Interior Design Awards 2018. 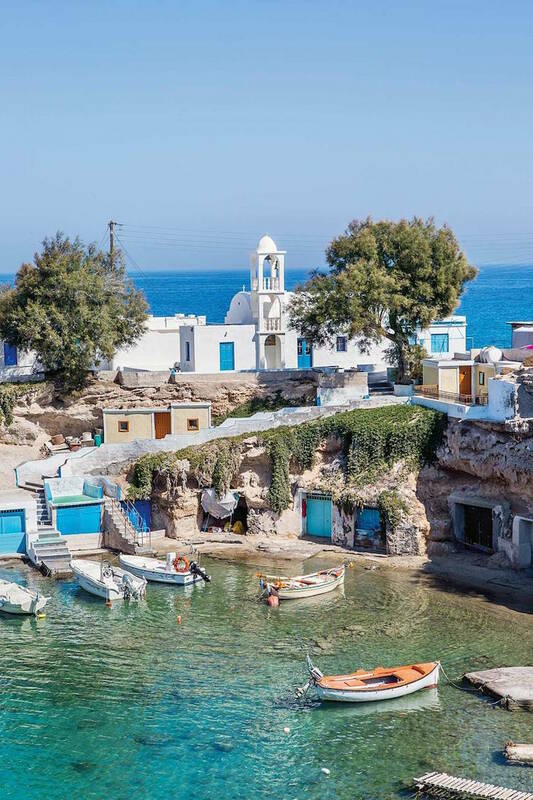 What's more, I just looked up the Greek island of Milos and it's described by Condé Nast Traveller as having "the best beaches in the Aegean, a fascinating history and superb seafood." Check out the full feature here .- it looks and sounds incredible! If the picture below is anything to go by, I think I've found my next holiday destination! See you there? 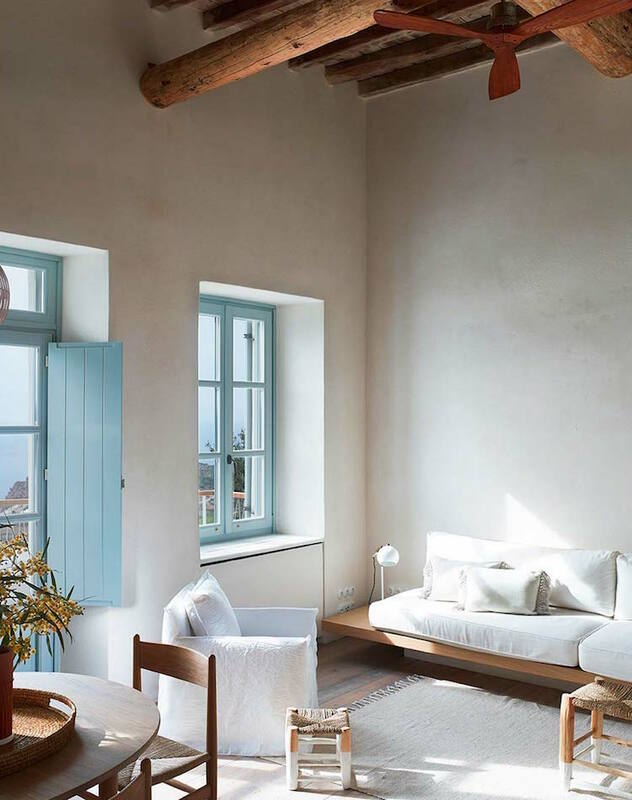 More dreamy inspiration from Greece includes this Greek island home, an oh so fabulous Greek escape and a cool white and rustic retreat on Mykonos (while you're there you could also treat yourself to a stay in this little patch of paradise! ).